The Colorado Clean Indoor Air Act, signed into law in 2006, prevents people from smoking inside business establishments. In addition, Amendment 64 (the amendment that legalized marijuana) has written in it provisions that deny the "open and public" use of marijuana — meaning a business cannot sell marijuana and then have said marijuana consumed on its premises. That means none of the dozens of dispensaries around Denver are allowed a tasting room. And no matter what Denver City Council does, it cannot trump the language in Amendment 64 nor the Colorado Clean Indoor Air Act. When Denver voters approved Initiative 300 in 2016 (no, not the "Initiative 300" pertaining to camping bans), its purpose was to allow entrepreneurs and business owners the opportunity to open "pot cafes" — places where patrons could go and consume marijuana in a social setting. It's three years later, and, according to the city, two businesses are currently operating with a license. City Council members view this as a problem and are working on a compromise. For many surrounding the debate, the issue that caused some marijuana supporters to accuse the City Council of ignoring their wishes when they approved 300 is the distance restrictions. In the original initiative, pot cafes would be allowed anywhere that wasn't 1,000 feet from a school. But, when the city's Excise and Licensing team got on board, it wasn't just a school: Pot businesses had to be 1,000 feet from a school, 1,000 feet from child care facilities, 1,000 feet from city-owned rec centers and pools and 1,000 feet from substance-use treatment facilities (rehabs). Many pot supporters cried foul. Initiative 300, when originally approved, didn't allow for a pot business 1,000 feet from a school, but it did allow for a pot business 1,000 feet from a school in an area zoned for businesses. According to the city's excise office, there are approximately 9,000 storefronts in the city that currently fit the 1,000-foot limit, meaning there are 9,000 potential stores that could be pot cafes around the city. Since 2016, five businesses have applied for a license. One was denied. Two have been approved, one revoked their application after a single day because of an issue with the owner, and one application is still pending. So the city has taken a look at the current rules and the changes they can make. A bill is moving through the City Council that would lessen the restrictions on pot cafes — effectively freeing up 2.2 more square miles of zoned business space in the city. The city is 154.73 square miles. While that seems glaring, the vast majority of the city's land is zoned for residential, meaning no businesses may operate there. Also excluded from potential business space are every city park and cemetery. According to the city's license and excise office, there may be more reasons that keep pot businesses from trying to get a license in the city. Weed is still illegal federally, meaning any national business can't apply because they may face pushback on a national level. Outside of that, any commercial real estate operation (think of a strip mall) that operates with a federal loan cannot risk letting a pot consumption business in (they would likely lose said loan). Don't expect to see this anytime soon in Denver. 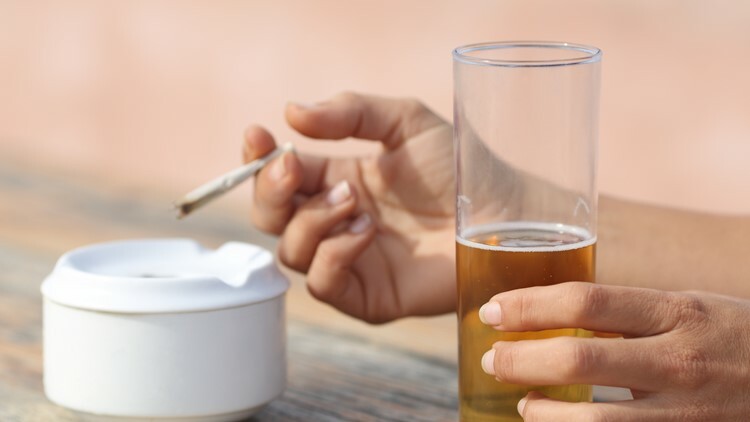 Consumption of beer and marijuana? It's not in the cards (at least of state law). For business owners, it may come down to dollars and cents. If you are allowed to sell a product that is then consumed on your property (like, say, a bar does with liquor), then you have a pretty obvious business plan. But if you aren't allowed to sell the product that is meant to be consumed on your property, then you have to find other ways to make money. In essence, under Colorado law, people have to buy their marijuana elsewhere and then take it to the pot cafe — and because of the clean indoor act, they can only vape or use edibles. It's hard to imagine a bar that would be able to survive if patrons couldn't buy alcohol there or couldn't actually drink beer they brought with them. State law also prohibits pot consumption in places that also sell alcohol, so every bar in the city is out as well. You could always smoke outdoors — but since any outdoor smoking area must be completely hidden from view of the public "right of way" or kids (a provision written into the original ballot language), it's tough to find any spaces that fit the bill. In June of last year, a bill moving through the state legislature would have allowed pot shops to also have tasting rooms. Then-Gov. John Hickenlooper vetoed the bill. Colorado's previous governor expressed worry a tasting rooms bill would prompt a federal crackdown (nothing has happened to California, although theirs is not a statewide law — it's municipalities' prerogative whether or not to allow social pot cafes). He also pointed out the language in Amendment 64 forbids tasting rooms. Have there been any "successful" pot cafe ordinances? Westword recently traveled to the Bay Area to see how their pot cafe scene was developing. California legalized recreational marijuana only recently. When they were putting together their own Amendment 64, they took a look at Colorado's law. Pot advocates in California made some key changes to their own law. Their amendment has effectively suspended California's version of the Clean Indoor Air Act for pot cafes and allows pot shops to have tasting rooms. There is currently no legislation moving through the state legislature that would relax either the tasting room rule or the indoor air law. And, as mentioned, current Denver law calls for social pot cafes to be 1,000 feet from schools and the like. Also in Denver, current law means marijuana dispensaries have to be 1,000 feet from schools and the like with one major difference. Dispensaries do not have to be 1,000 feet from rec centers or public pools like cafes do. There are two social pot cafes open in Denver. There are 213 dispensaries in Denver. Vape and Play, which opened last year, has undergone a change in management and recently changed its name to Dean Ween’s Honey Pot Lounge. The establishment now aims to be "the world's first cannabis-friendly concert and event space." In an attempt to increase the number of businesses who open as pot cafes, Denver City Council's proposal would keep the school proximity limit at 1,000 feet, but lower every other restriction to 500 feet. 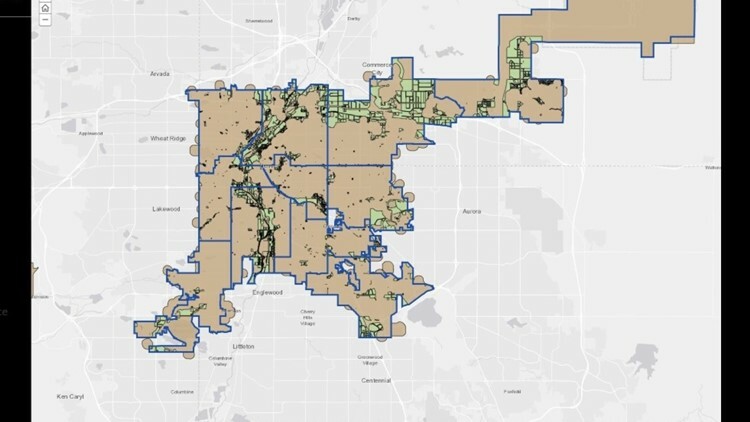 The first map below shows the area in Denver where pot cafes could set up shop with the 1,000-feet limits across the board. The second shows the new area if the City Council passes this legislation. Here is a look at the current potential pot cafe map with the 1,000-foot distances. The areas where a pot cafe may set up are in GREEN. This means about 19.5 square miles of the city are eligible space. Here is a look at the new potential pot cafe map with the reduced distances. The areas where a pot cafe may set up are in GREEN. This means 22 square miles of the city are eligible space. Mayor Michael Hancock said he does not support City Bill 2019-0349. Denver License and Excise Office Director Ashley Killroy sent an email to several city council members stating the mayor has sided with the major health care players in town, who are also against the measure. "The mayor stands with our health care partners and other youth-serving organizations who understand the challenges faced by our kids today," the email says. "As you know, a significant number of these partners have reached out to us to express support for maintaining the current area restrictions." The next city council meeting is slated for April 22 at 5:30 p.m. The bill could be passed then.